If there is one thing modern businesses have to be aware of, it’s hackers. Nowadays, an individual can bring a company to its knees from the far corners of the globe. As a result, your firm has to be ready to take on all comers at any time. After all, you never know when an attack is going to happen. To do this, you might think that spending as much on security as possible is the best option. However, businesses also have to consider their budget, too. The answer, then, is to cut the cost of security while maintaining a high level of safety. To learn more, take a look at the following. It seems odd to pay more to reduce costs, but the logic is sound. The way it works is that you buy a quality product first and foremost. Then, there is no reason to splash out any extra of new programs or software in the future. Far too many businesses try to secure their information with budget antivirus software, such as AVG. Although this program can be helpful, it doesn’t have the features you need to create a comprehensive defense. Even if it costs nothing monetarily, the cost to the firm could be great. At least with an expensive suite, it will cover every base and won’t need replacing for a long time. The obvious question to ask is, how do you know what is quality and what is substandard? The simple answer is research. Thanks to the Web, the information you need is at your fingertips. All you have to do is look in the right places for the data which will make a difference. This list of the best malware removal software by Computer Fixperts is an excellent resource, as is customer reviews. Indeed, impartial reviews are vital because you can trust what the person has to say. Any biased sources can skew your view and lead you to make decisions that affect security. Again, this might appear odd considering the cloud has security issues of its own. However, it is also a great way to reduce costs. Say you have a CCTV system, for example. The data it stores is enough to force businesses to enhance their storage capacity or invest in on-site servers. Obviously, this is a costly venture because neither comes cheap. With a cloud-based system, there is no reason to store data or buy in-house servers. The outsourcer has all the gear so that you don’t have to worry, and they charge a fair price. Anyone that is worried about security needs to research their choice of partner thoroughly. In this era, it is difficult to see the merits of retro security measures. However, alarm systems and security guards still have roles to play. Not only are they cost-effective, but they cover the areas which newer features forget. Guards, for instance, are people who negate breaches by patrolling the area. What better way to secure the business than to prevent an attack in the first place? 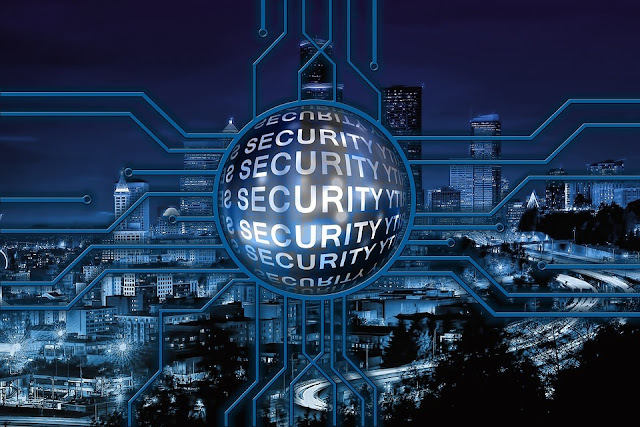 Interested in more articles about cyber-security and data protection?